The food can quickly increase the body color and growth of red parrots. 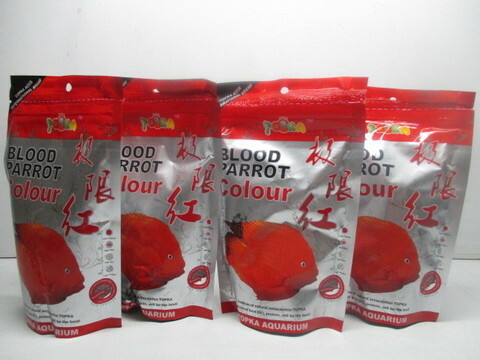 Red Parrot can convert the body color to be red wihtin 14days after feeding this food, with very bright beautiful colour. 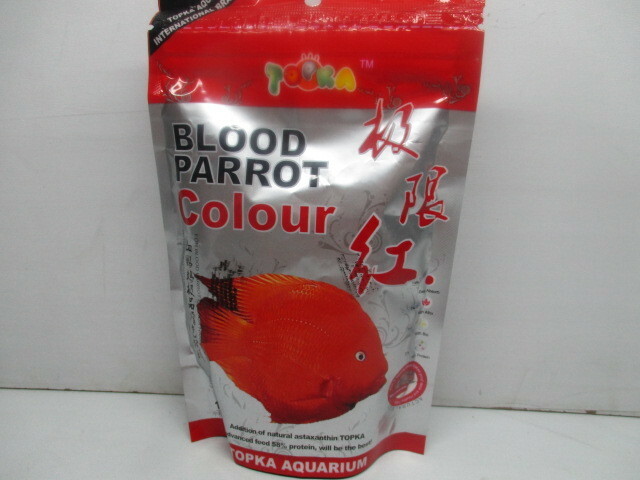 This food is also excellent for other tropical fish. 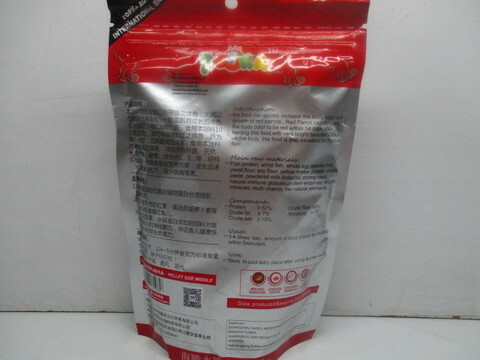 Fish Protein, white fish, whole egg powder, malt, yeast, flour, soy flour, yellow matter proteinm shrimp paste, powdered milk Antarctic shrimp meal. Natural immune globulin, protein enzymes, organic minerals, muiti votamin, natural elements. 3-4 times / day, amount of food should be finished within 5 min. Store in cool & dry place after using & cover back.